Iron Cupcake: San Francisco just wrapped up another successful event at Leland Tea Company this evening. The tea house was stuffed to capacity as over 20 bakers and 60 tasters stuffed their faces with the delicious coconut creations. August's ingredient was coconut and for only the third time in Iron Cupcake: SF history, the same baker took first place in both the taste/appearance and most creative categories. 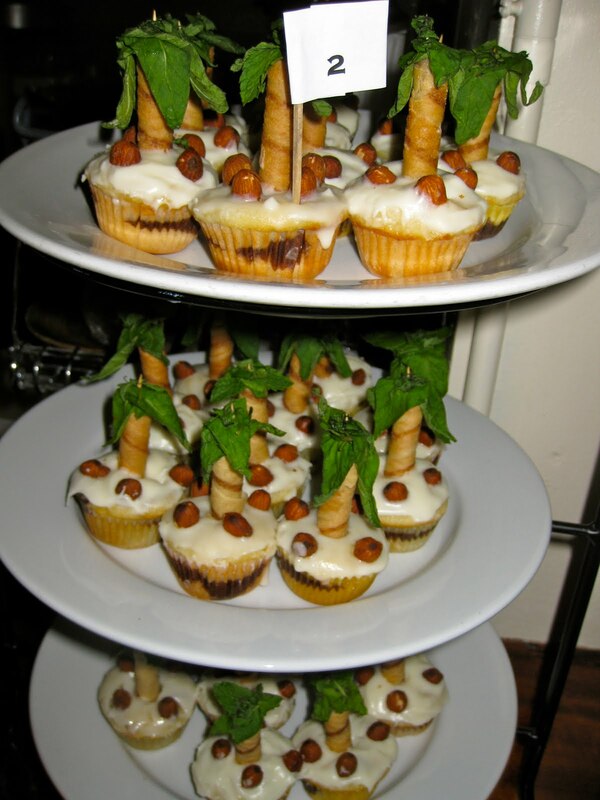 Congratulations to Sol Liboi for her winning "Island Fever" cupcakes! I absolutely love the before and after shots of the tasting trays! Next month's ingredient is "tea," which I'm actually surprised hasn't been an ingredient yet, given the amazing tea house that hosts the event. A new electronic voting system was implemented using voting by text over the cellular network this month, which drastically reduced the amount of time calculating the votes.